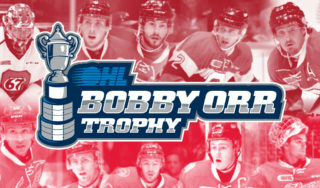 The Oshawa Generals have several players heading to NHL training camps this September. The list includes nine current Generals who are ready to showcase their skills in front of the big clubs. 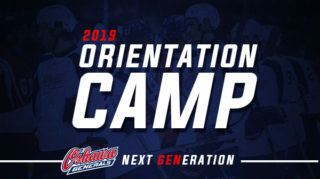 The list starts with the captain of the Oshawa Generals, Jack Studnicka (BOS (2017) RD: 2 (#53)), who has one of the most exciting training camps ahead. Studnicka is set to head overseas as part of the Boston Bruins’ preseason trip to China. The 10-day tour of China will feature two preseason matchups against the Calgary Flames, marking the Bruins’ first preseason trip outside of North America since 2010. 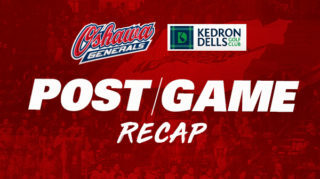 Oshawa Generals goaltender Kyle Keyser (BOS (2017) signed as a free agent) will attend training camp with the other half of the Boston Bruins that will stay in North America. The Bruins will take part in six preseason matchups in North America, starting with a home tilt against the Capitals on Sunday, September 16. General’s Nando Eggenberger (VAN invited as a free agent) is set to take part in training camp with the Vancouver Canucks. He will head to Whistler, BC, where the Canucks will hold training camp prior to the preseason. The Canucks will open their seven-game preseason slate with three home games at Rogers Arena, then play three games on the road before closing the preseason at Prospera Place in Kelowna. Winger Serron Noel (FLA (2018) RD: 2 (#34)) will attend training camp with the Florida Panthers. The first on-ice session of the Panthers’ training camp is set to begin on September 14, while their preseason opens against the Nashville Predators with a doubleheader at the BB&T Center on September 17. Defenseman Nico Gross (NYR (2018) RD: 4 (#101)) will be taking part in the New York Rangers training camp. The Rangers’ preseason opens with a matchup against the New Jersey Devils. 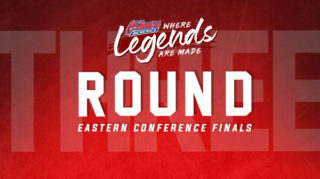 Their preseason schedule includes three games at Madison Square Garden and six contests in total against the likes of the New Jersey Devils, Philadelphia Flyers, and New York Islanders. The training camp of the Montreal Canadiens will include Oshawa Generals forward Allan McShane (MON (2018) RD: 4 (#97)). The Canadiens have seven preseason tilts scheduled, including a matchup in Quebec City against the defending Stanley Cup champion Washington Capitals on September 20. As a new member of the Generals after being acquired by trade in August, Giovanni Vallati (WIN (2018) RD: 5 (#153)) will attend training camp with the Winnipeg Jets. The Jets kick-off preseason action in Winnipeg at Bell MTS Place against the Minnesota Wild on September 17, continuing to play six more preseason contests concluding on September 27. Centreman Kyle MacLean (NYI invited as a free agent) will attend training camp with the New York Islanders. The Islanders preseason spans eight games, with two games against the camp of the New York Rangers that includes Generals defenseman Nico Gross. Lastly, defenseman Sean Allen (STL invited as a free agent) will take part in training camp with the St. Louis Blues. The Blues will play seven preseason games beginning with an exhibition contest against the Dallas Stars on September 18 at American Airlines Center. 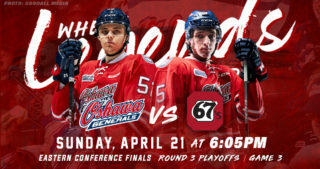 Catch the Oshawa Generals kick off an exciting season at the home opener on Sunday, September 30th when the North Bay Battalion come to town. 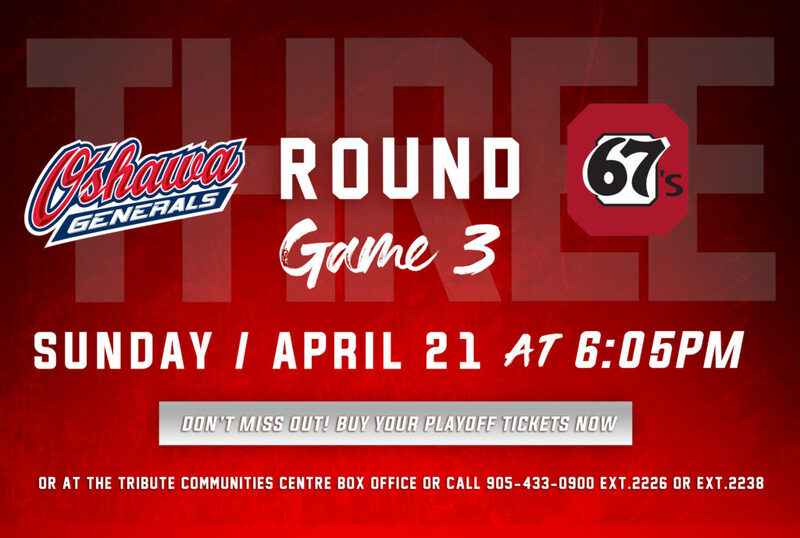 CLICK HERE to get your Home Opener tickets today!